We’re sure that you have some great things planned for this Christmas and New Year and if you’re looking for ideas for your party drinks you’ll love today’s feature by Amanda Karen Photography with styling by Fleur + Fig! 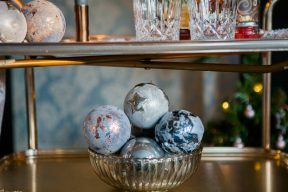 They show you how to style a drinks trolley for your party and last week they shared some delicious Festive Drinks and Canape Recipes ideas too! 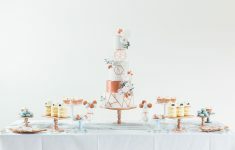 Here’s Philippa from Fleur + Fig to tell us more about their shoot, and of course how to style your drinks trolley! 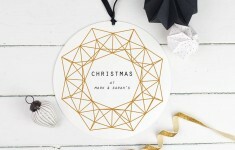 “If you’re anything like us, Christmas time is heaven, because we get to hide away all the normal ornaments and frames to make way for a whole load of fancy festive beauties that we can style to our hearts content. 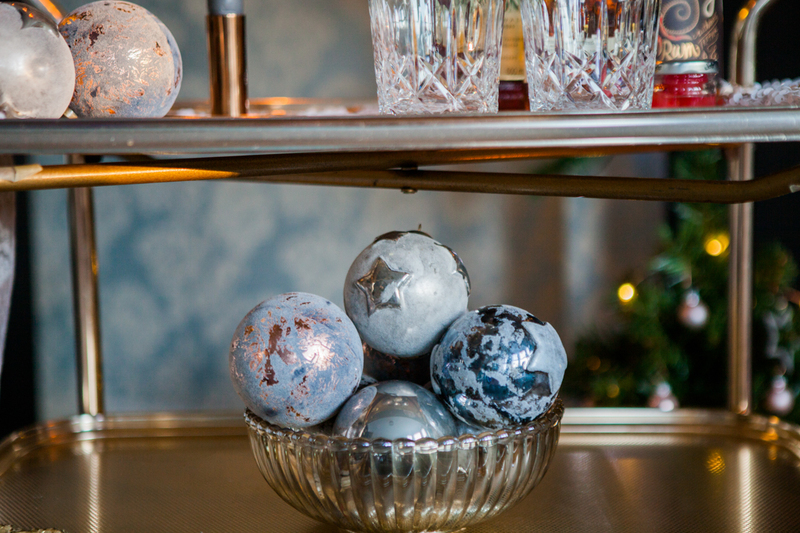 Some Christmas decorations have their annual ‘place’ while others we like to change up so we can style our house differently each year. This year, we’ve brought out from hiding (from Philippa’s wedding!) a very retro Drinks trolley, that reminds us of our Nan wheeling in trays and trays of cakes when we would go to visit! 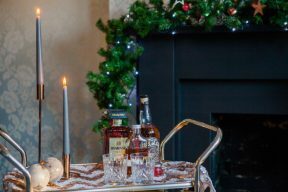 As much as we would simply love to own the beautiful circular gold Drinks trolley from Oliver Bonas, or the Cox & Cox, this lovely ‘pre-loved’ thing was a steal from eBay many moons ago. With the right styling, this trolley looks as good as any and is already getting attention for visitors. 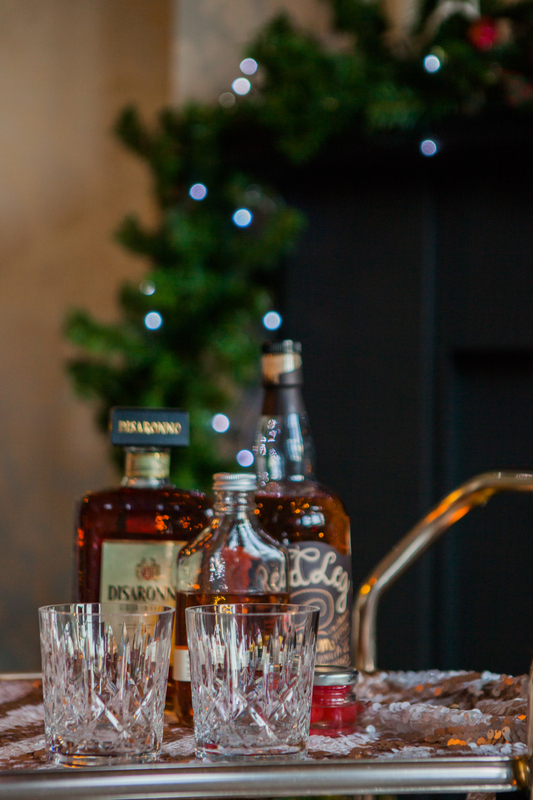 The main rule for styling any Drinks trolley, is ‘less is more’. 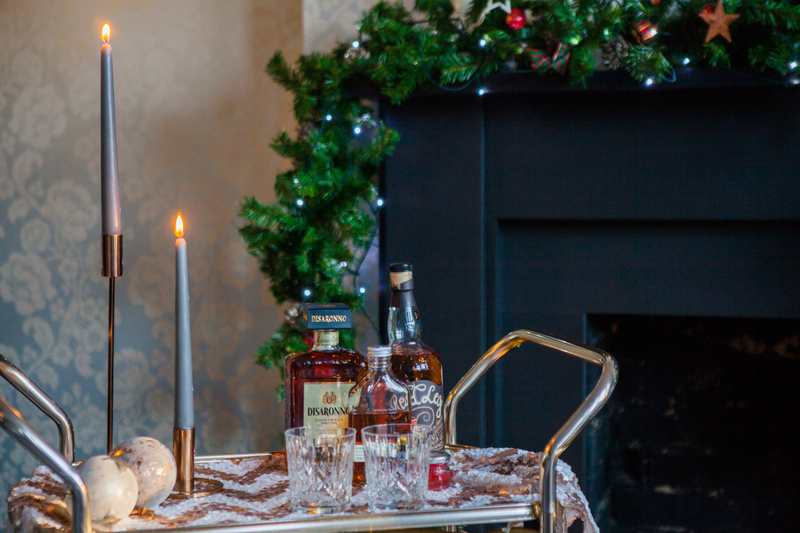 Your drinks trolley is not supposed to be a bar displaying all the spirits that you own. 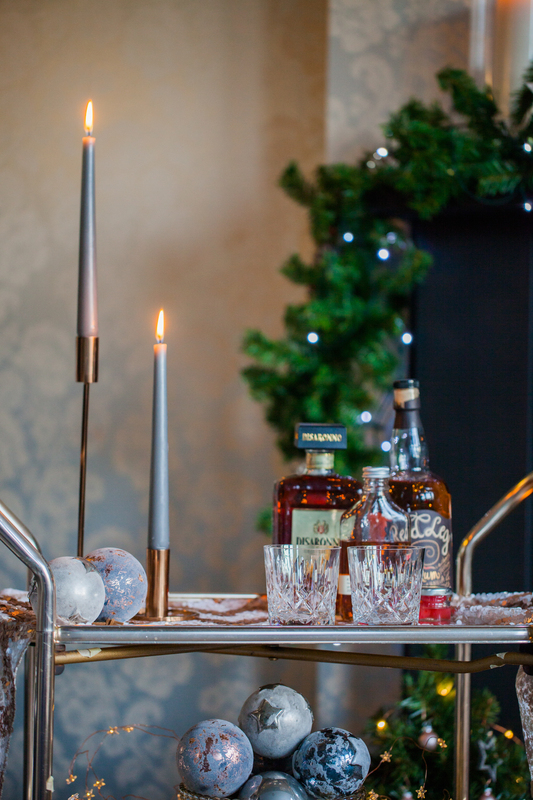 Your drinks trolley is supposed to be a beautiful and inviting addition to any room, especially at Christmas. 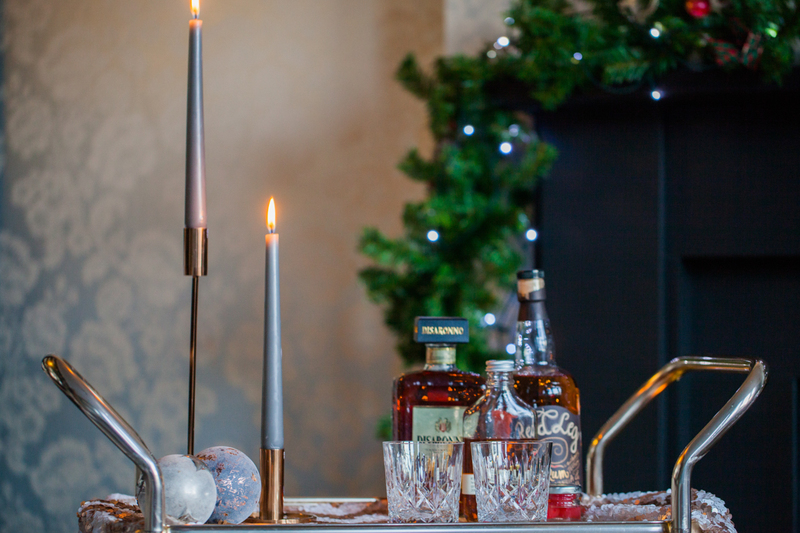 Whether it’s main purpose is as a whisky bar, or perhaps holding spirits perfect to ‘pimp your prosecco’ at New Year, you only need to display 2-3 spirit bottles, or just 1 ice bucket with a bottle of fizz. 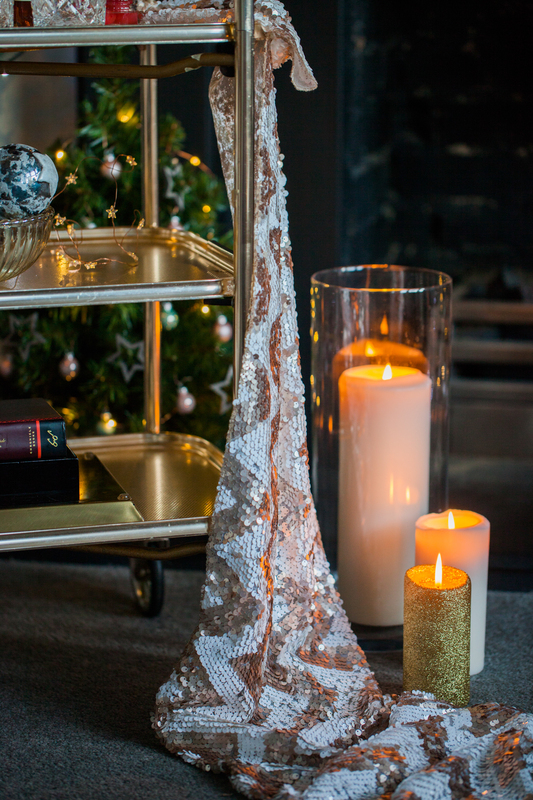 First of all, to add a bit of lux and festive sparkle to our trolley we draped a sequin table runner over the top, letting it free flow over the sides. This works perfectly for this style of trolley as it helps to disguise the tray tops that have seen better days. If you also own a trolley like this, or in fact any other type of trolley and want to add a bit of festive styling to the surface, why not pop into Liberty to buy some beautiful festive wrapping paper. 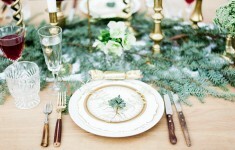 Carefully measure your tray tops and then cut pieces of beautiful paper and place on top. 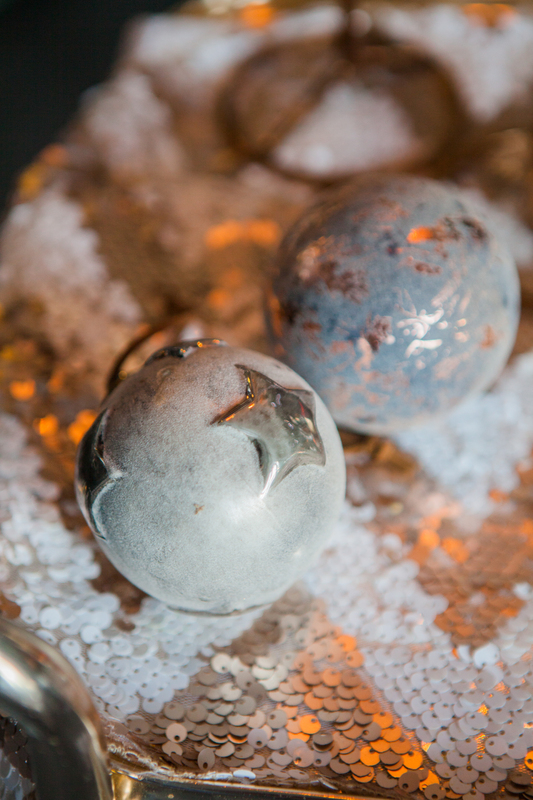 An instant festive transformation! 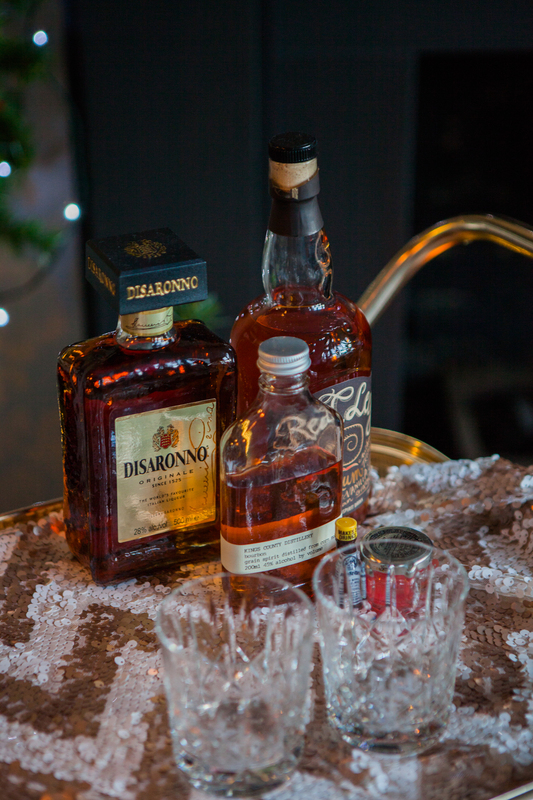 keep spirits at the top with just a couple of glasses on show. 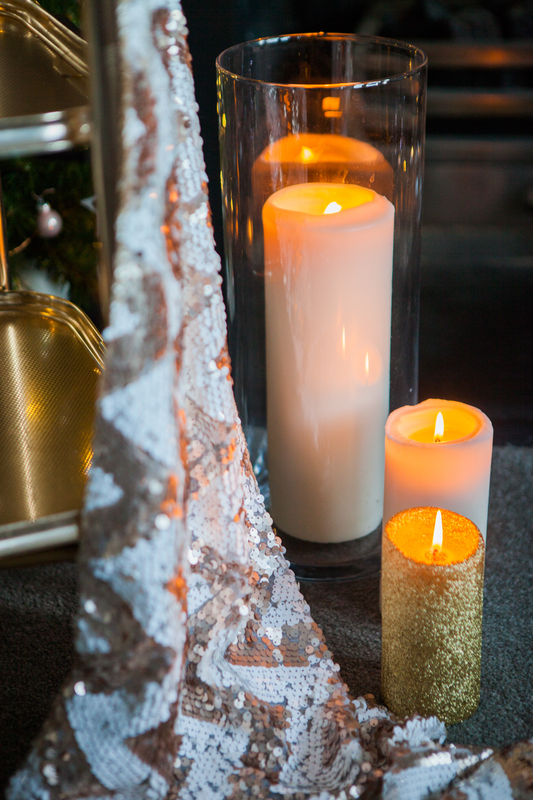 Add candles and small clusters of festive decor. 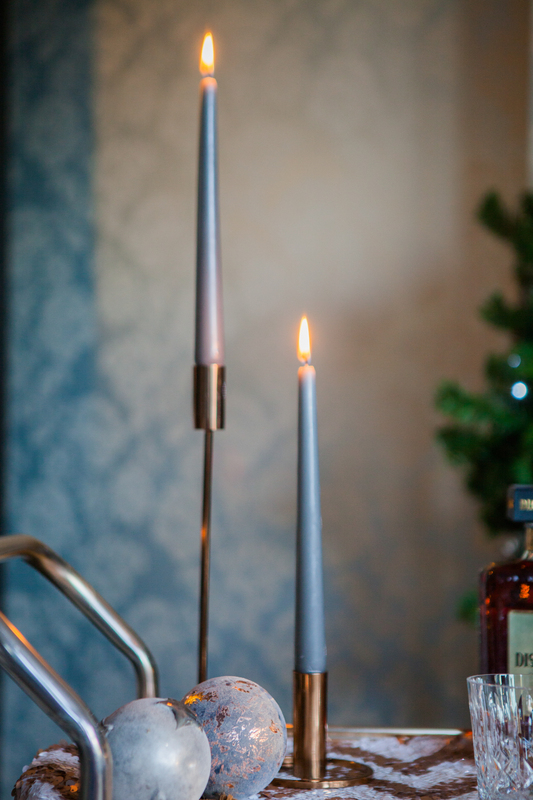 For our trolley we used some baubles from Cox & Cox and tapered candles.